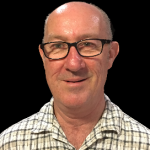 The National Centre for Vocational Education and Training (NCVER) released its annual apprenticeship completion data on 5 July 2018, showing national completion rates have declined since the last report. The NCVER collects completion data using two methodologies. The first is ‘contract’ completions, meaning completion of a training contract signed by an apprentice or trainee and their employer. The second is ‘individual’ completions. These rates are an estimation, and reflect an apprentice or trainee who leaves one employer but completes the apprenticeship with another. Overall, the national contract completion rate is 52.7 per cent for all occupations. For trades, the contract completion rate is 47.1 per cent and for non-trades it is 57.1 per cent. The NCVER uses the Commonwealth term Australian Apprenticeships for its data. It provides data for trade and non-trade occupations to reflect the distinction between apprenticeships and traineeships used by most states. These figures are all lower than the previous years’ commencements in 2012. Some occupations fare much better than others with their completion rates. Electrotechnology and telecommunications trades workers (which includes electricians and air conditioning and refrigeration mechanics) have a completion rate of 54.6 per cent, while food trades workers (chefs, butchers, bakers etc.) have the poorest results with a completion rate of 34.8 per cent. Automotive and engineering trades workers have a completion rate of 49.6 per cent. Some states seem to do better than others. 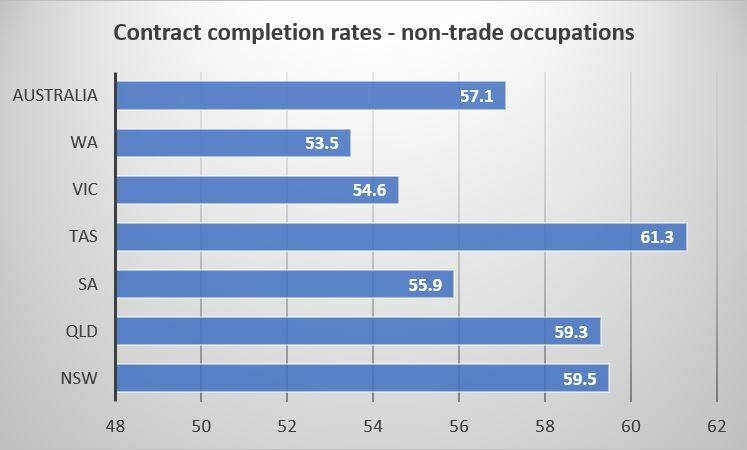 The tables below show the different completion rates in each state for trade and non-trade occupations. Individual completion rates are understandably higher than contract completion rates, reflecting the fact that some apprentices and trainees choose to stay in their trade but not with the same employer, for whatever reason. 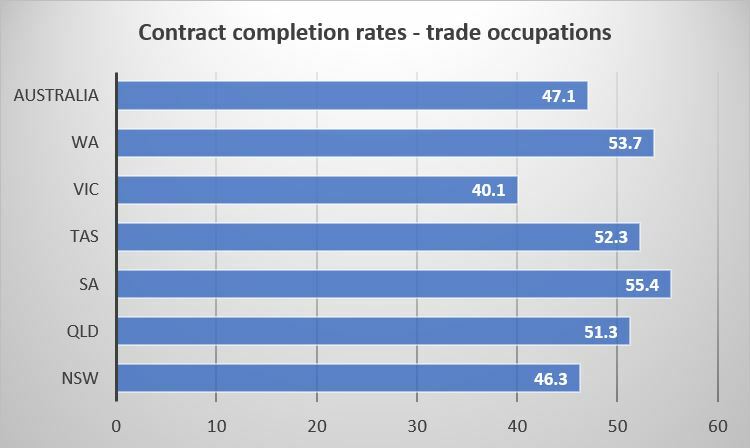 For trade occupations, the individual completion rate is 58.5 per cent and for non-trades the rate is 59.6 per cent. What are your experiences in retaining apprentices to completion? 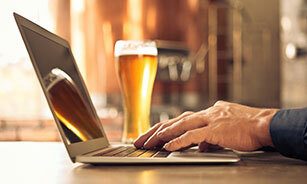 What could be done to improve retention rates in your industry? Leave your comments below to start a conversation.